We are very excited to offer three very rare and collectable ultra low mileage Ferrari’s from one private collector. 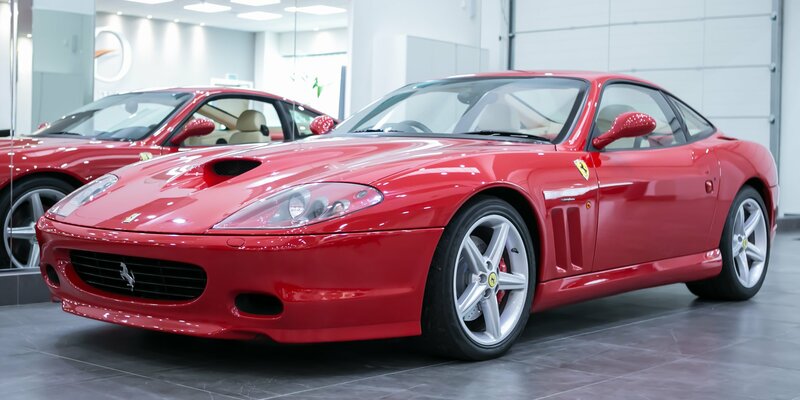 The first is a beautiful 575 Maranello F1 with carbon seats and an incredibly low 6,000 miles. * As new condition with all documentation and books present. Fantastic investment opportunity as this has to be one of the lowest mileage 575’s in existence. Please contact us in the strictest confidence for full specification,price and further details. Serious enquiries only please. Library photo of similar car.